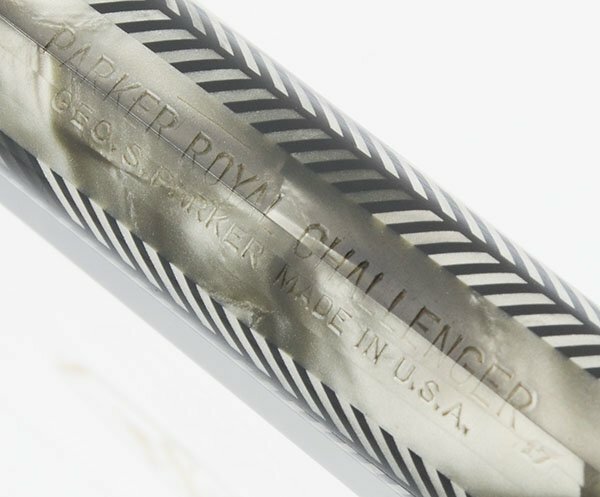 Parker Royal Challenger standard size fountain pen from 1937. Button filler in the silver herringbone color with nickel plated trim, sword clip, and three thin cap bands. 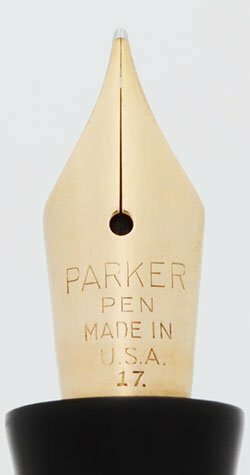 Fine gold Parker Pen USA nib. Superior condition, fully restored and working well. 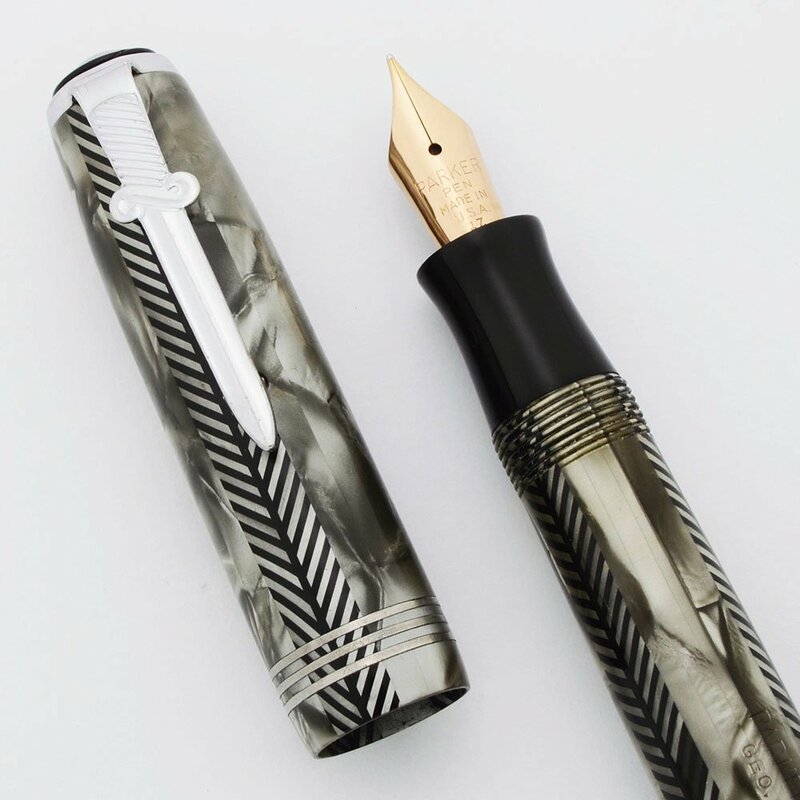 Type Vintage button filling fountain pen. Manufacturer and Year Parker, made in USA -- 1937 (the date code on the barrel is a clear 17, indicating the first quarter of 1937). Color Silver color is a grey marble pattern with strips of a herringbone with black lines running down it. Nickel plated trim with three thin cap bands and a dagger style clip called the sword clip. The blind cap and both jewels are black. Nib FINE gold Parker Pen nib. It is smooth and slightly springy. Condition Superior condition. 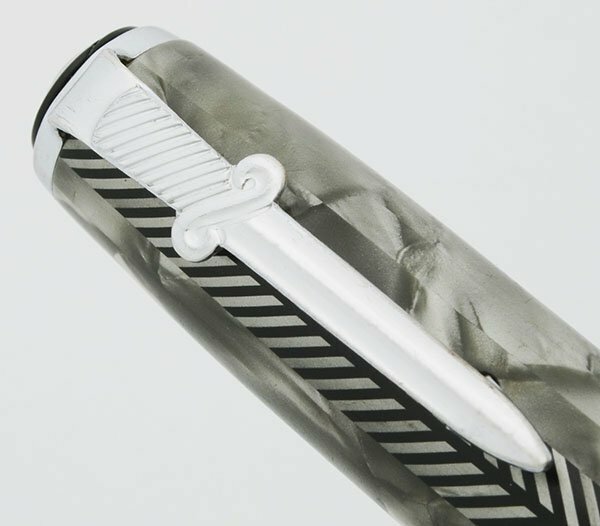 The pen has unique coloring and patterns; it is quite attractive. There are light to moderate scratch marks throughout but no major or deep scratches. The barrel has horizontal capping marks. The trim looks excellent. 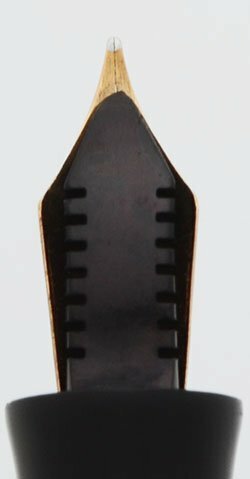 The clip has some light scratch marks. There are no cracks, chips, dents, or dings. The imprints are clear.